(April 13, 2018) Alberta Soccer’s 4th annual Women in Soccer Conference will take place this weekend with a new format that intends to attract women from around the province. The conference will take place on Saturday in Calgary and again on Sunday in Leduc. 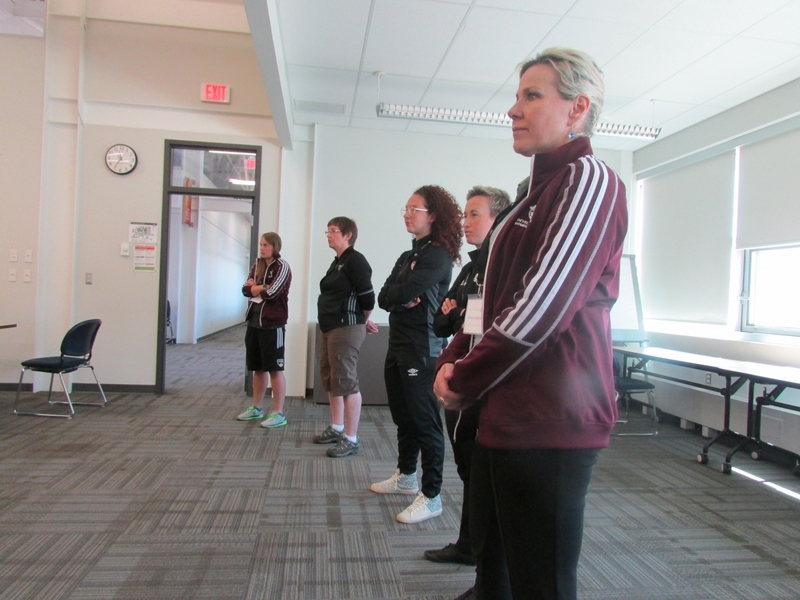 The Women in Soccer Conference will see its largest attendance to date this year with over 90 women attending who are involved in various capacities with coaching, officiating, playing and administration throughout the province. The conference will feature a keynote from Andrea Neil, a former Canadian Women’s National team player, Canada’s Sport Hall of Fame inductee and former coach with the University of British Columbia, Vancouver Whitecaps FC Women’s Team and Canada’s Women’s National Soccer Team. Andrea will also run a coaching session for coaches in attendance. The conference will include sessions on leadership from the Canadian Association for the Advancement of Women and Sport (CAAWS), intercultural communications from Bow Valley College and Female Initiated Referee Strategies and Techniques. The second day of the weekend in each city will be dedicated to a brand new program being launched this year aimed at female referees called “Create your Advantage”. The program, in partnership with Alberta Sport Connection and the Coaching Association of Canada, will be the first female-only, female-led development opportunity for referees in the province. 52 female referees spread out between Calgary and Leduc will attend this opportunity. Despite women’s soccer maintaining a high profile in Canada with the success of the Women’s National Soccer Team, numbers of women in coaching, officiating and on boards remain low at less than 30% both provincially and nationally. The number of girls playing is also declining annually with females making up 37% of Alberta Soccer’s playing membership and 39% nationally. The Conference was developed to respond to these issues and to encourage and inspire women in leadership roles in soccer. The Conference will take place at Mount Royal University in Calgary on April 14th and Best Western Denham Inn & Suites in Leduc on April 15th.